Wind energy companies are aggressively pursuing the expansion of wind turbines in Worth County, Iowa. The wind companies focus on absentee and large landowners while leaving others totally uninformed or ignored. The majority of residents do not want to live/work in an industrial wind installation. There is NO regulation in Worth County to protect any of us from large corporate Wind Companies. There is NO mandated funding for future turbine removal. Iowa fields may be full of giant rusty, decayed turbines in the future if this is not addressed. This is not a legacy we want to leave our children and grandchildren. Wind turbine contracts are one-sided. They are written for the wind company by wind company lawyers. Wind companies should not be allowed to police themselves. land agents discussing the contract." -The future of farming lies in efficiency. Farming around turbines and access roads decreases efficiency. -Major seed companies will be less likely to grow seed corn near turbines. -Many landowners who have had turbines erected have had drainage issues that can be costly to repair especially when the wind company does not agree that there is a problem. Drainage problems can affect neighboring farms. -Compensation for effects on farming is not adequate. A landowner usually receives about ½ of the revenue made off the land if a farmer/renter brings the equipment and does the work. Wind companies offer you pennies on the dollars they pocket. -New turbines may not affect property values immediately but what about in 10-20 years when the turbines are showing their age and not producing as much? Will that turbine still be an asset or become an albatross? Decommissioning is not adequately addressed. -Homes on acreages decrease in value immediately when an industrial wind installation is built nearby. -Roads are damaged, traffic and dust increases. "No wind turbines in the area was a a prerequisite when buying our acreage." -Noise pollution - Normal ambient noise level in rural areas is 25 dBA. The World Health Organization recommends sound levels be less than 40 dBA. Invenergy’s wind installation in Freeborn County has had an administrative law judge recommend that the MN PUC deny their siting permit due to their inability to show that they can meet state noise standards. -Visual pollution - Our rural landscape will be desecrated with giant spinning towers. Blinking red lights at night are annoying, can impair sleep and impede star gazing. We are proud Iowa farmers, acreage owners and community residents of Worth County, IA and neighboring areas. We want to protect our world class soil, our farming operations, maintain property values and preserve our quality of life. viable source of energy on its own. 3) Does not impair or impede the future agricultural use of the land. If above criteria are proven with scientific methodology, county supervisors need to then perform their duty by putting in to place thoughtful, well researched regulations on the wind energy companies. It is the duty of our supervisors to “protect and preserve the rights, privileges, and property of the county or its residents and to preserve and improve the peace, safety, health, welfare, comfort, and convenience of its residents” (Iowa Code 331.301). 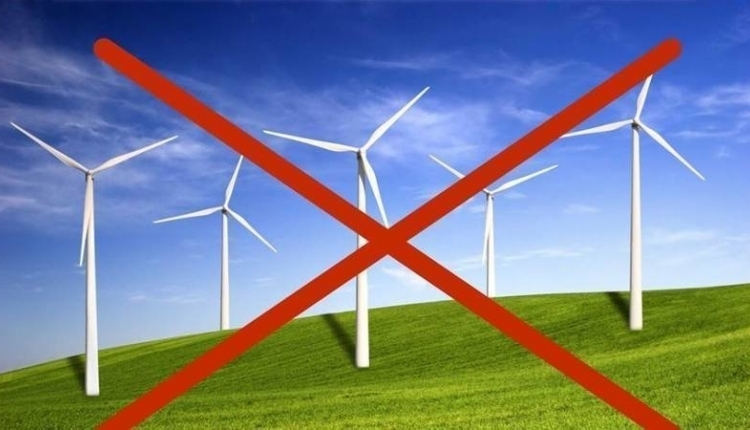 The NO MORE WIND TURBINES in Worth County, Iowa petition to Invenergy Wind Development North America LLC and Worth County, IA Supervisors was written by Concerned Residents of Worth County, Iowa and is in the category Environment at GoPetition.